This set of 6 vintage candy themed ornaments is a great gift set for a loved one or for your own holiday collection! 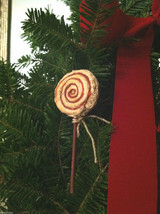 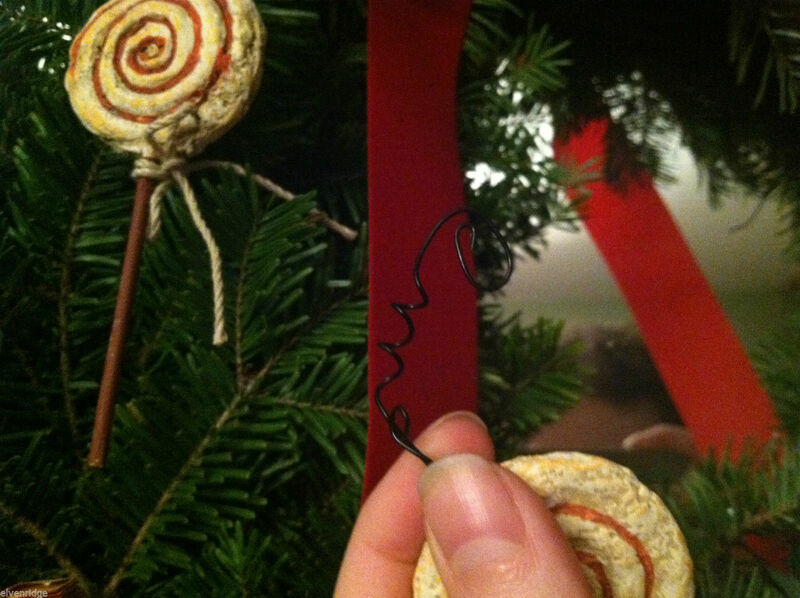 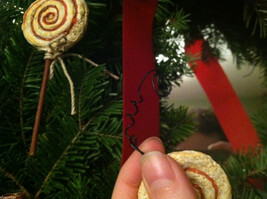 These ornaments are made out of wood and are hung by a coiled wire with a red shiny bell at the end as shown in the pictures. 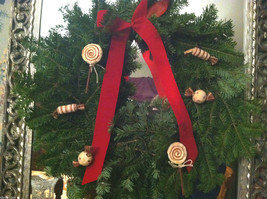 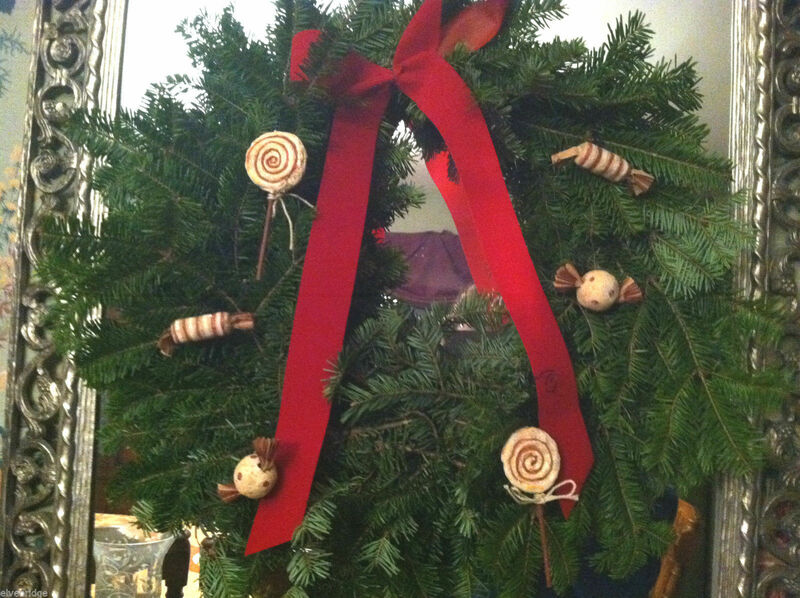 Wreath and red ribbon are not included. 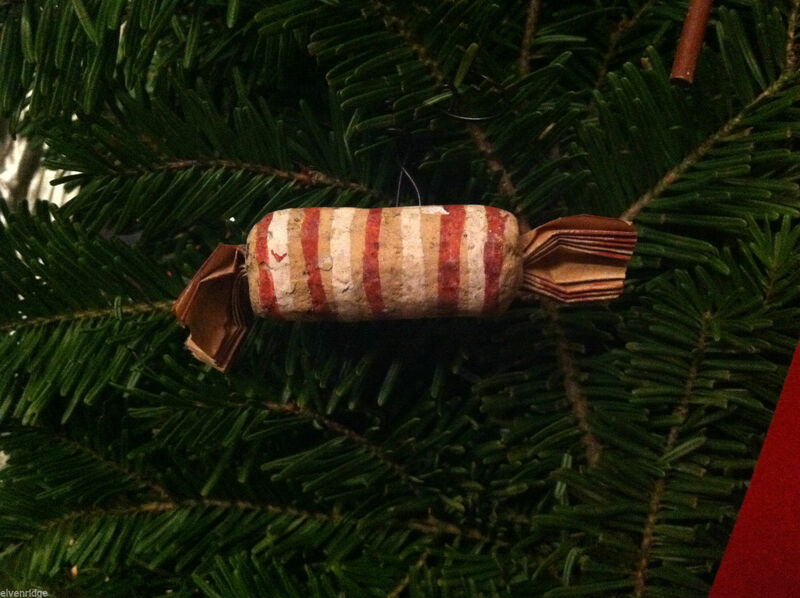 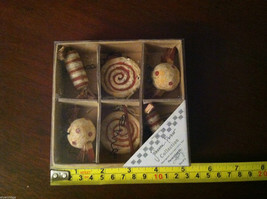 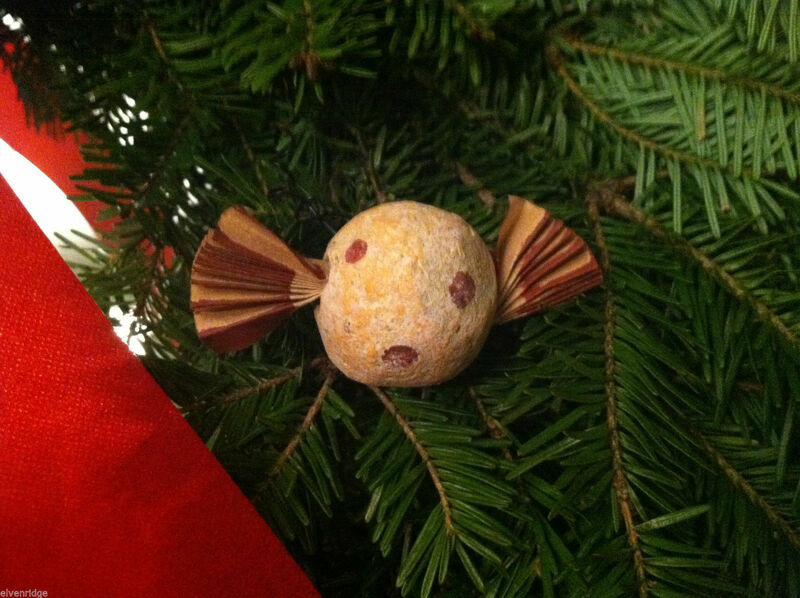 The ornaments come within a box that measures approx 5"(L) x 5"(H).